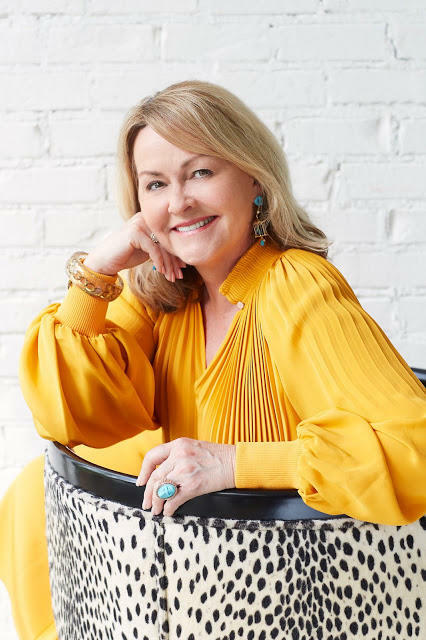 After 17 years running her Charlotte, North Carolina–based design firm, Lisa Mende believes firmly in establishing healthy communication systems—and boundaries—with her clients. “Client management means everything to a project’s success,” she tells BOH. Here, she shares her formula for a fruitful relationship. How do you set healthy boundaries with your clients? Every client is different, so you have to determine what will work best with each. I walk clients through my mode of communication, office management and client management protocols in my very first meeting. I believe in setting boundaries from the start so that everyone knows what to expect during the project. It’s also important to let clients know that you’ll keep them informed, which allows them peace of mind and security that their project is a priority. What are some of the lessons you’ve learned the hard way when it comes to managing client requests and expectations? Early in my career, I lost a client because I did not tailor my approach to how the client needed to communicate. As a result, the client felt she was in the dark—which caused her to feel insecure about my management of the project. It was a difficult time, but I learned a lot from that situation and made several changes to my business. I established a client communication area in my contract that outlines exactly how I plan to communicate and how my office works. For example, my contract states that if a client emails me, I will respond within a 24-hour time period—that way the client knows not to expect an instant response. In this day of instant contact, clients may need a reminder that 24 hours is necessary to get the right answer, or that just because I may not be able to respond instantly does not mean I am taking their question lightly. I also ask for change requests in writing, rather than verbally or via text message. The paper trail is very important! I have found it is important to have notes on who requested what so there is never a question later as to who made changes or agreed to something. And most importantly, I instituted a weekly email on Fridays to update each of my clients, which informs them of the progress we’ve made, any obstacles we’ve encountered and how they are being addressed, as well as successes related to their project. This could cover anything from an initial follow-up regarding the scope of the project to letting them know when items are ordered, backordered or need a replacement; a follow-up on meetings we had that week; changes to the project; when items are due; install dates; answers to client questions—basically, anything that needs to be communicated about the project. How have those weekly emails changed the way you work? As a designer, I carry many details in my head that often need to be written down and communicated to the client. I’ve been sending these weekly emails for about 10 years, and I have found they keep me on track. When I write things down on a weekly basis, it causes me to think through each process in detail—including things like scheduling electrical for an install when I order lighting—and often prompts me to address things more quickly. My weekly updates have also completely quelled the massive amount of emails I used to get from clients. My clients are happier, and they feel better cared for by being in the know. I think most clients who reach out constantly for updates are simply feeling out of the loop on their project.